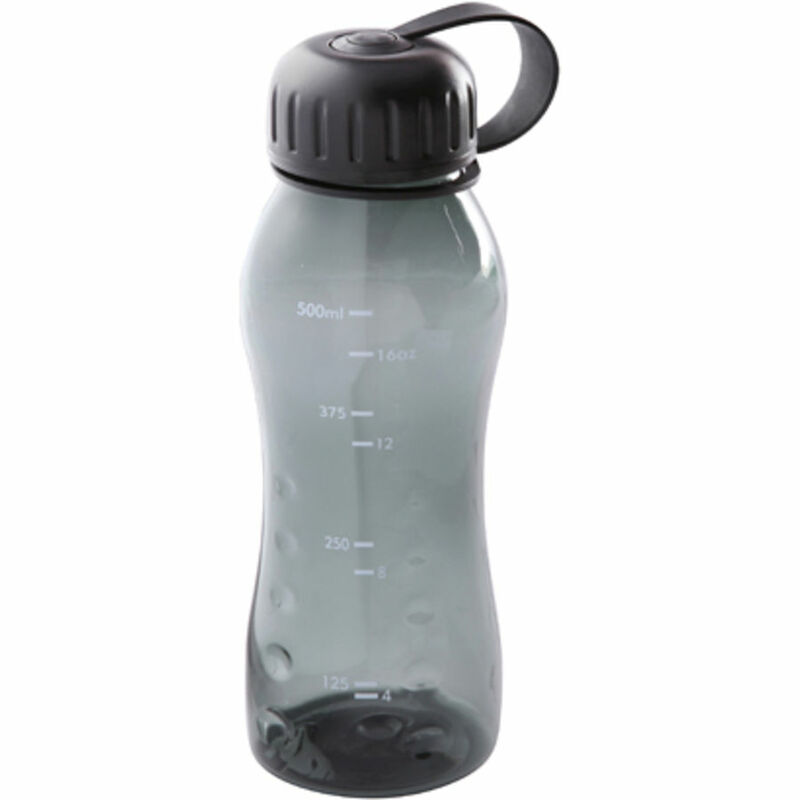 500ml, 18oz water bottle with a tapered body. Made from a durable polycarbonate material with high impact resistance. Does not retain odour or taste and comes complete with self attached leak resistant tethered screw top. Print Area: Back 40 x 25mm 1 colour print only. Lead Time: Standard delivery 7 working days. This item may be available on an express service.